Oh hiiiii! :D Did you have a relaxing and fun weekend? After meeting up with my friend Eunice yesterday, Greg and I went on a date to the best organic+healthy restaurants ever! At least in L.A. :P It seems like we've been on a lot of date sprees lately, but I think it's because that any time we get to spend together, we feel like it's a date. 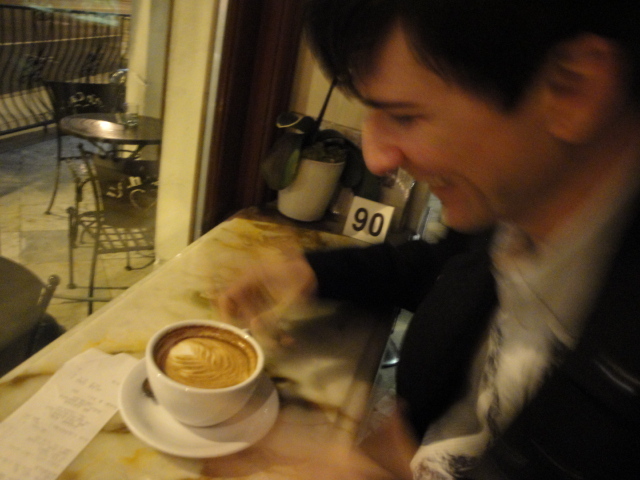 We drove up to L.A. to this cozy place called URTH CAFFE,and they serve the best coffee and espresso drinks ever. Also, their menu is filled with pleasantly healthy options: Mediterranean plate, soups, salads, 12-hour roast beef sandwiches, and the best vegan (or in the world) desserts ever. *growl* I'm getting hungry while typing these words haha! My stomach is always growling for some reason. Too bad Greg's friend Chris and his fiancee couldn't join us yesterday! They live right across from the cafe. 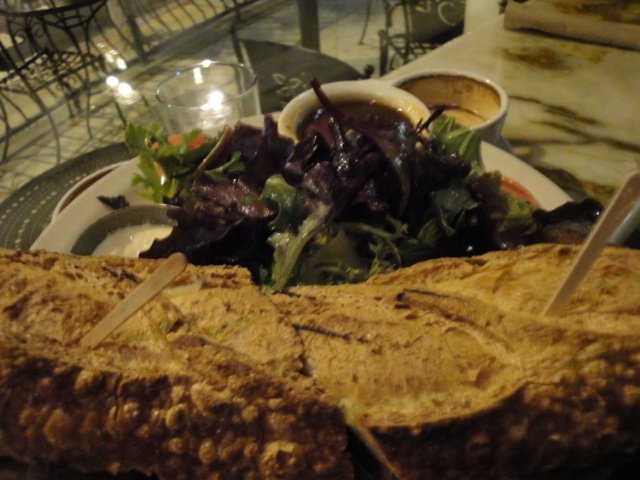 Greg had the luscious 12-hour roasted Roast Beef sandwich. Uhhhh, can I get some more please?! 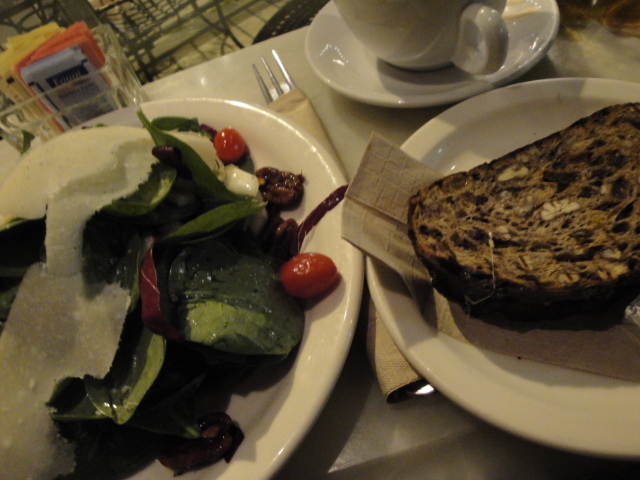 Along with my salad came Urth's home baked walnut raisin bread. It is to die for, and it was still fresh today--as you can see, I really like leftovers! In all honesty, I wish I could send a slice to every one of you. It's that good. The crust is graham crackery yet sort of like a cookie. It's super tall and big in size, so 2-3 people can easily share a slice. Did that sentence just rhyme?! These are some of Urth's adorable goodies and items on display. 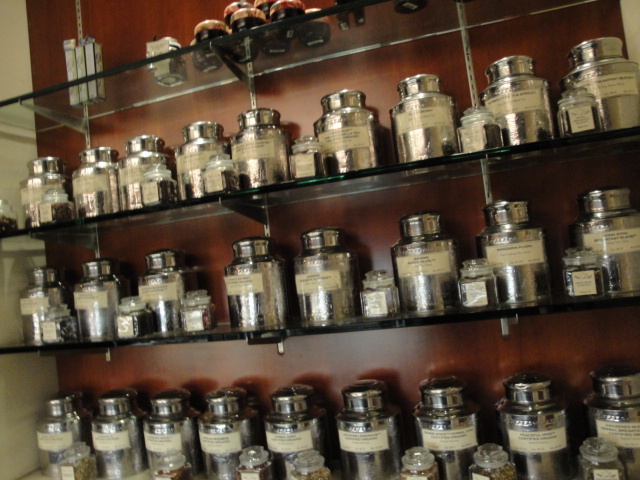 It is tea galore I tell ya! I caught Greg smiling at me because I was literally becoming a 6 year old girl skipping around in Disneyland. Ahem...And the employees were creeped out delighted by my over bubbly and enthusiastic self. :P I can't help that I'm very expressive by nature! What I also like about this place is that they pick and roast their own coffee, and take so much care to choose only 1% of the coffee beans! It's extremely fresh, and they grind it for you. I purchased some of their World Peace blend and I have to say that it's the most fragrant and complex coffee I've had in my short-lived life! It was such a fun trip to L.A.! And on a slightly different note, he had some major instant humblers today. Greg turned his phone off (but it's been acting up) and his momma texted him during his message telling him that she's PRAYING for him. Obviously, due to the phone's strange acting-up, it went off in the middle of preaching. He played it off so well though! And THANKFULLY everyone laughed it off..pheww! Well friends, I hope you have a beautiful start to your day tomorrow and let's live it to the fullest! My Question: Do you have eateries that you rave about as well? If you're from Cali, what do you recommend? And do you tend to label any hanging out moments with your significant other, as a "date"?